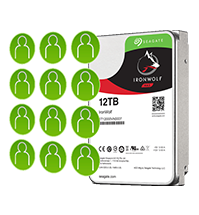 Seagate's IronWolf NAS hard drives provide a workload rate of 180 TB/year, allowing multiplte users to confidently upload and access data on the NAS server. 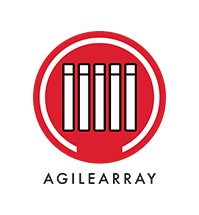 IronWolf hard drives are optimised for NAS in multi-raid environments, capable of handling high user workloads, whether you are a creative professional or a small business. 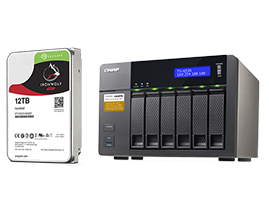 Do you have you a question about the Seagate IronWolf (2TB) 3.5 Inch SATA Internal Hard Disk Drive for NAS? Yes, they are brand new. Our prices are fixed so we are unable to offer discount. It's a hard drive, let's see how long it lasts! Not much to say; it's a hard drive... Plug it in and away you go ! But I've used CCL for a number of years and can recommend them as a quality company, providing quality products at decent prices.